What Does Percocet High Feel Like and How Long Does Euphoria Last? Percocet High: What Does it Feel Like and How Long Do the Effects Last? Percocet high refers to the condition where the user indulges in excessive usage of the opiate drug and experiences a euphoric rush along with a general sense of wellbeing. The user reaches a state of complete relaxation when a high dose of this drug is consumed. The main ingredient (oxycodone) presented in this drug is responsible not only for reducing pain but also for creating euphoric effects in individuals. The quantity of oxycodone in Percocet is quite capable of bringing about sedation or euphoric effects in individuals when used for prolonged durations. What Does it Feel Like to Be High on Percocet? What are the Side Effects of Percocet High? What are Some Other Risks Associated with Percocet High? What Does a Percocet High Feel Like? When taking Percocet medicine, an individual might feel drowsy and excessively warm, and the pain they had been feeling earlier might be reduced to a great extinct. The user may even start sweating, as the drug increases the body temperature. In most people, Percocet high induces a state of euphoria, since this opioid drug limits the capability of pain receptors and stimulates areas of the brain responsible for pleasure. According to Percocet’s mechanism of action, it boosts the production of dopamine in the body, which is a feel-good hormone. This is the main reason why individuals immediately feel a euphoric rush and an overall sense of wellbeing. The drug induces relaxation and makes the user feel calm. The user may find simple tasks or questions confusing and might have impaired thinking. It may become difficult to maintain the right balance. Thus the user may not be able to stand upright for a little while. In addition to that, the user may not be able to go out into the sun, as the eyes become a lot more sensitive to light. As time passes, the body builds a tolerance towards the drug, and thus the user does not experience the same high until and unless they increase the dosage each time. How Long Does Percocet High Last? The euphoric high produced by the ingestion of Percocet is similar to heroin, which explains why it is known to be such a powerful source of addiction. Once Percocet has been administered, its effects can be felt within 15 minutes of oral consumption since it is a fast-acting drug. Users that have just recently started taking the drug will feel that its effects start to kick in within the 20 to 30-minute time-frame. The effects of the drug are at their peak within 30 to 60 minutes of consumption. This is the point where the user is at the highest state of euphoria, and the pain they had been feeling earlier has been almost diminished. The whole process lasts for approximately 4 to 6 hours. How long Can it Stay in the Body After the Intake? Percocet in user’s urine and saliva can be detected up to 4 days, and in the user’s hair for up to 90 days. Percocet remains in the user’s bloodstream for a total of 24 hours after the consumption. The euphoric effects produced by Percocet last for a shorter time-span and may differ from person to person. Depending upon the dosage and tolerance, it can take anywhere from minutes to hours for the euphoric effects to subside. Once the body becomes tolerant or dependent on the drug, Percocet high lasts for a shorter duration, and the patient may need to increase the quantity to feel the same effects. How Does an Individual Consume Percocet to Get High? The tablet is administered through the mouth with a glass of water (with or without food). The tablet is crushed and inhaled through the nostrils. This is one of the most dangerous ways of taking Percocet, as it limits the time it takes to experience the euphoric effects and increases the risks of developing a tolerance with time. Tablets are crushed, dissolved in water, and then injected into the body using a hypodermic needle. Tablets are chewed, breaking them down into smaller particles, before being swallowed. The tablet is crushed and mixed with compounds such as weed. It is then burned and smoked. Why Percocet is Snorted, Smoked or Chewed? The speed and intensity of the effects produced by the drug vary depending upon the method of consumption used. Snorting a crushed tablet of Percocet can induce euphoric effects faster than other methods of consumptions such as swallowing. This is why Percocet is often snorted, smoked or chewed. These methods also triple the risks of developing a strong addiction to the drug. The rates for non-medical opioid consumption have doubled in the past ten years. A person who want to consume Percocet for recreational purposes on the streets are dealing with great risk. Because the street value of Perocet is high, it is often got tampered. Such drugs can be mixed with Fentanyl or heroin. For the average user it can be hard to identify fake Percocet pills. The feelings of euphoria produced by Percocet are, however, accompanied by a huge number of side effects ranging from unpleasant to fatal. Since Percocet is an addictive compound, prolonged usage could lead to a person developing a tolerance for that particular drug. They will soon need the drug in increased quantities to feel its effects on their body. People that use Percocet for recreational purposes are at high risk of becoming physically dependent on the drug. 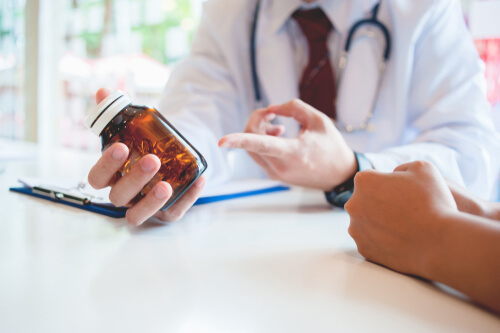 Taking Percocet along with other opioid drugs, anti-allergic medications, or compounds such as weed and alcohol can quickly lead to adverse or fatal circumstances. There has been a staggering increase of 27.7% in opioid overdose deaths from the year 2015 to 2016, which indicates that the opioid overdose epidemic has worsened over time. Percocet high can cause extensive damage to the human heart, body, and lungs, as it lowers the breathing rate and affects the blood circulation throughout the body. 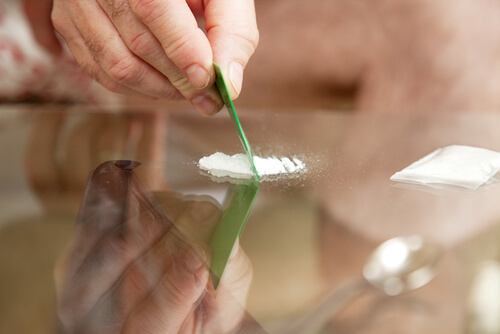 One of the most dangerous ways of taking Percocet is snorting a crushed tablet through the nose, as it gets absorbed into the mucous membranes and reaches the brain faster. It can also lead to fatal circumstances if the breathing becomes too weak. Thus the drug should be taken with caution and as prescribed by the doctor. Before taking the drug, it is important to make sure that the patient is not allergic to ingredients of Percocet pill. Individuals suffering from opiate addictions should immediately seek therapeutic help from professional rehabs to treat the root cause of the problem and ensure long-term recovery. Professional rehabs offer inpatient and outpatient treatment programs along with support group therapy to prevent the patient from relapsing during the treatment. 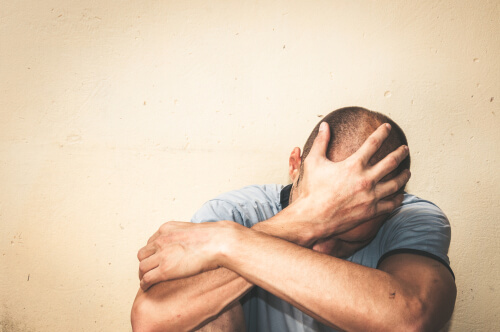 If you or your loved one is suffering from opioid addiction and would like to get more information regarding the rehabilitation process, call us on our toll-free number (888)-459-5511 to speak with an experienced healthcare specialist. Addiction Resource » Addictive Substances: The Anatomy of Drug Addiction » Percocet Addiction and Abuse Signs: How Long Does it Take to Get Addicted? » Percocet High: What Does it Feel Like and How Long Do the Effects Last?